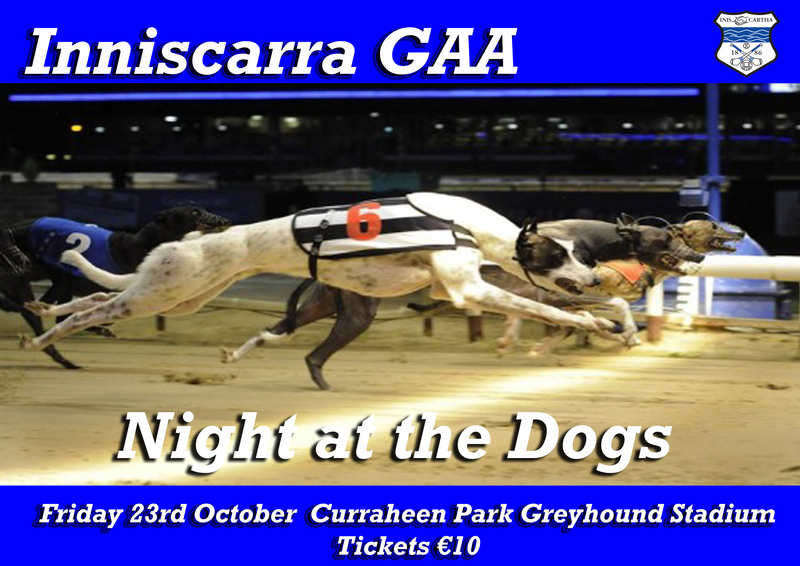 On behalf of the organising committee we would like to thank everyone who attended the night at the dogs at Curraheen Park on Friday night (23rd Oct) last and made it a very successful event again. We would also like to say thanks to all our sponsors on the night McCullagh Wall Solicitors (Main Race Sponsor), Whitebon Developments Berrings (Ticket Sponsors), Doyle Group (Weekend Away), O'Learys Centra Tower, Aunties Bar Tower, SOS Recovery Vicarstown, Sibin Bar Vicarstown, Dan Donovan & Company Berrings, Michael Buckley Electrical Berrings, Barrys Daybreak Inniscarra, Paudy Buckley Tractors Vicarstown, Michael O'Connell Electrician Berrings and to all who donated the spot prizes for the raffle on the night; there are too many to mention. We would ask that you would support all our sponsors of the night in some way for the year ahead. We hope to see you all again at the event in 2016. Michael Forrest, Ballygarvan, Co Cork.